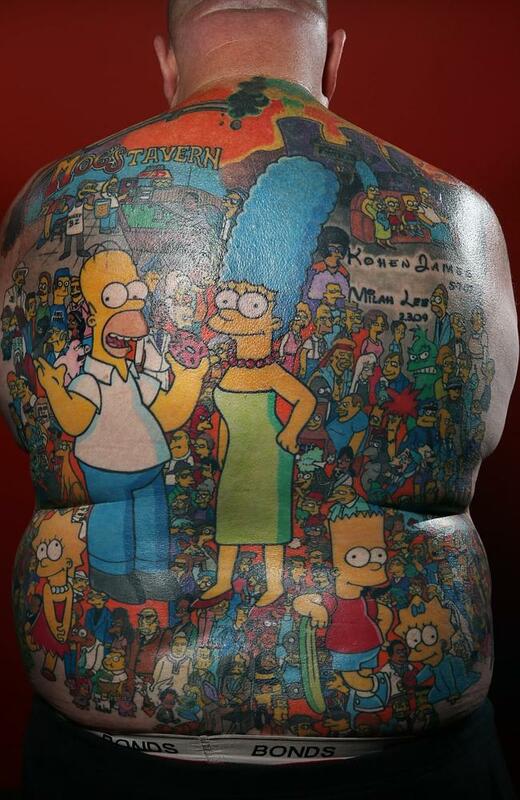 In a bid for a new Guinness World Record, Australian Michael Baxter has spent roughly $10,000 to have 203 "The Simpsons" characters tattooed on his back. Baxter hopes he&apos;ll set a new World Record for most cartoon characters tattooed on a person. 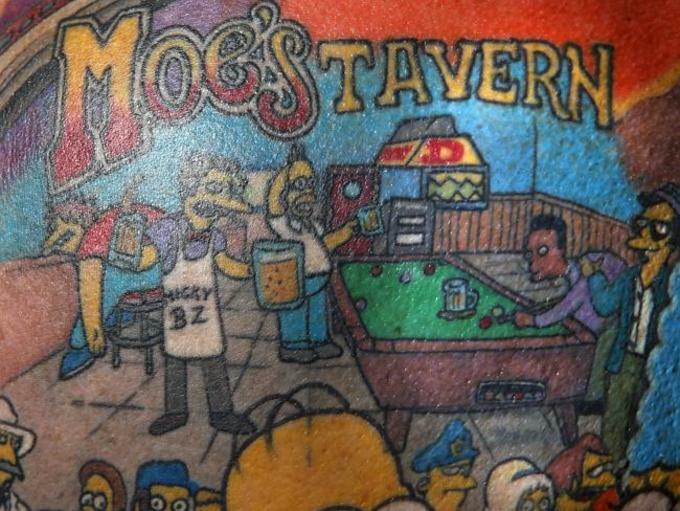 The tattoo depicts the characters spread out across iconic sites from the show, including Moe&apos;s Tavern and the couch from the opening credits. It took 130 hours over 15 sittings during the course of a year for the entire art work to be completed. Baxter started getting inked over a decade ago. "It&apos;s an addiction," he told the Herald Sun. "Once you get one you want more and more." The Aussie already has a tattoo of Stewie Griffin from Family Guy on his thigh. Earlier this year, a man in New Zealand set a similar world record for "most tattoos of the same cartoon character tattooed on the body" with 41 Homer tattoos. Baxter, though, is gunning for the world record for most cartoon characters overall. Guinness has accepted his application; We&apos;ll see how this pans out for him. Watch Baxter explain his tattoo in the video below.